The beer poured a black color with brown highlights at the bottom of the glass (would those be considered lowlights? *rimshot*). A bubbly film of brownish cream hangs around the top of the liquid for several minutes. At first it smells like just another stout. I picked up roasted malts, a smoked ham flavor, and then the brininess hit. It’s hard to exactly explain what I mean by “brininess”, but it’s akin to salt water and sea foam (you’d know it when you smelled it). A spicy tinge of pepper is also hiding in there. The roasted malts kick things off again in the taste. However they quickly fade into a tobacco/cigar flavor, with a touch of that brininess. The middles has a mild smoked meat flavor that I normally associate with Rauchbiers. A touch of sourdough pretzel finishes things off and is probably a byproduct of the malts and oysters. As the beer warm the briny flavor becomes more forward and makes this beer taste more like an oyster stout rather than a stout that happens to have oysters. Mouthfeel is medium and somewhat carbonated. It goes down relatively easy, but leaves a slight residue in its wake. Nothing outside the norms for a stout though. This is my first Oyster Stout and I must admit that it’s not nearly as off-putting as the name would imply. 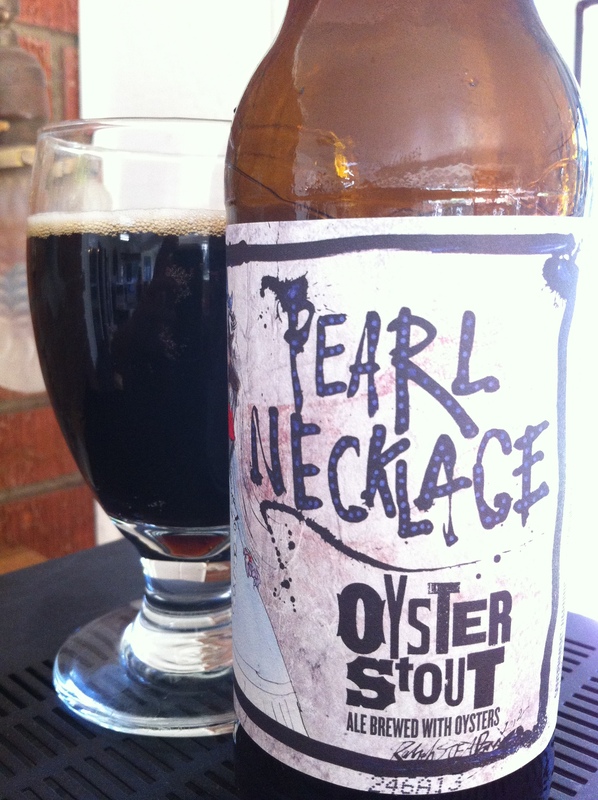 The oysters add a salty sea foam flavor that works well with the dark malts of the stout. I couldn’t drink this style all the time (literally), but it was an interesting beer.